The year I graduated, 1971, I received two diplomas. One said San Fernando Valley State College — had all the information, my name, my degree, and signatures of, I think it was Mr. Cleary. And then I had a second one that said California State University Northridge. So I was able to have them both plaqued and able to give one to each of my parents. I started in 1968 and my first year I lived in the dormitory that was called Northridge Hall on Zelzah Ave. There was a male wing and a female wing, we were separated. The year I started I remember vividly the assassination of Martin Luther King, and the turmoil that that generated and then I remember studying for final exams the night that Bobby Kennedy was assassinated. There was a great deal of turmoil on the campus. There was a great deal of reverberations of what was occurring and society was reflected here on campus. I remember that there was a state of emergency declared and the Los Angeles Police Department had a riot squad on campus. There were protests that occurred. The African American students were lobbying for a Black Studies program. There was an area by the library — it’s not there anymore — called the Free Speech area, and there were usually rallies and demonstrations that were occurring there almost every day. There was a lot of paranoia among student activists that we were being watched by our government. Years later I did a Freedom of Information Act request on myself and discovered that our worst fears were true. There was a file on me from those days here at Cal State Northridge. There were copies of articles I had written for the Daily Sundial that were in the file. There were informants that had been in meetings regarding anti-war activities that were reporting on what I was saying and doing, and the anti-war movement here at school. In the archives there’s a flyer that I had hand written in 1971. It said “Laos invaded, is North Vietnam next? And it was a call for a meeting about what to do about that. There was a lot of activism on the campus in those days. Well I was a Theater Arts major and there were many distinguished teachers that were here in the Theater Arts Department at that time. There’s a very famous acting teacher named Jeff Corey who recently passed away who was very well known. There was another acting instructor named Lew Palter who then went on to found the Theater Arts Department at the California Institute of the Arts in Valencia . I came to school, I wanted to pursue a career in the entertainment industry and found that I couldn’t separate my life on the campus from what was occuring in the society around us. There were very profound changes that were occurring in America during those years. When I went to school there weren’t any black students in my high school, and my first year here in the dormitory there was a special program that was instituted to bring in African American students from South Central Los Angeles. And when Martin Luther King was assassinated, the white students really weren’t prepared to deal with the Black Experience and we had to come to terms with it. One of the things that I did was I took a class in Black theater that was taught by a very famous African American actor named William Marshall, and one of the students in the class was the son of a very famous African American singer named Lena Horne. . . It was a real adventure in interacting with African American students in a way we ordinarily wouldn’t have had that opportunity. 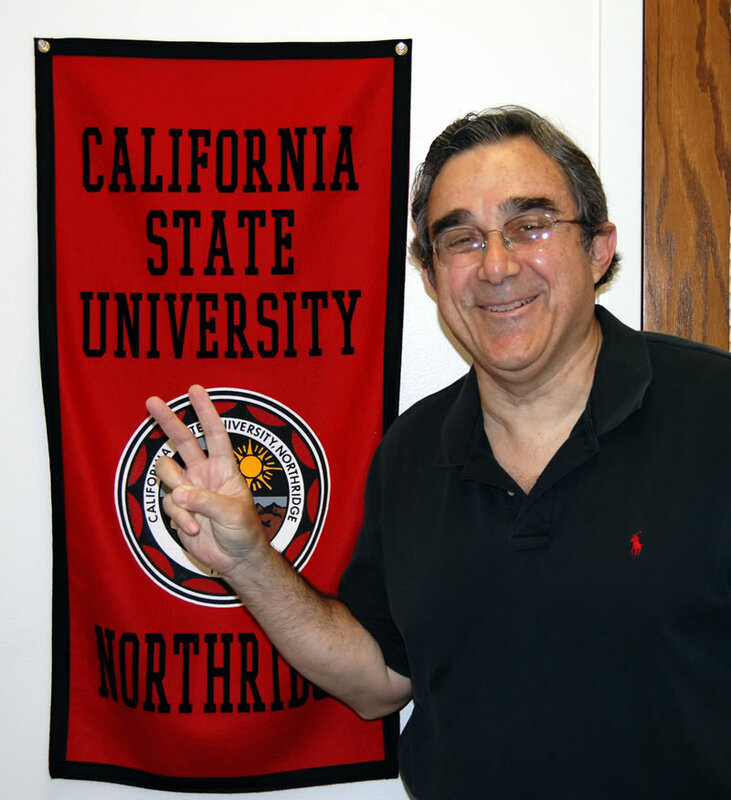 I think that was a very positive thing in my life, was understanding the diversity in our society, which I had never really understood before coming to Cal State Northridge and I think that served me well in later years as an elected public official. My name is Steve Ford. I graduated in January 1985 in Speech Communication, which is today Communications Studies, but I was proud to be a Speech Communication major, and initially began as a marketing major, but wanted to be into Communications for broadcast and/or, marketing agency work, like advertising agency and public relations agency work. So I crafted a special option in the speech communication department which allowed me to have a triple major: one third journalism, one third marketing, and one third speech. My dad was a professor of Sociology here from 1958 to the late ’80s or early 1990s — I don’t know the date that he retired. But that let me really grow up on this campus. People think Speech Communication is all about talking and standing at a lectern, you know, and blabbing away on rhetoric. I found the Speech Communication Studies program to be fantastic from the standpoint of understanding writing for broadcast, understanding rhetorical discourse, writing to persuade, advertising writing, interpreting and evaluating communication and understanding the theory of communication, world views of communication and all the theoretical things that you don’t think you would get, and I say that just to give a plug for the depth and academic side of Communications Studies. Really powerful information. It actually makes me feel a bit like Rip Van Winkle, you know, to come back here today because I blink my eyes and wake up and I come back in 2009 and there’s nine new buildings. I parked my car over in the parking lot that’s east of the University Student Union, and I recognize the parking lot, but you know, I walk no more than twenty-five, thirty seconds into the University Student Union and I see a dramatically different structure. I was on the board of directors of the University Student Union in 1984 and 1985. I was very involved there. So I have both affection for what I see on the campus today and also sort of shock and dismay because many of the open, green-lawn walk areas are now concrete buildings. But it’s tastefully done, and I still see the orange grove, so I must tell you that so long as the orange grove is here on this campus I will forever allow and bow to the expansion of the campus to build more concrete. But that orange grove has to stay. 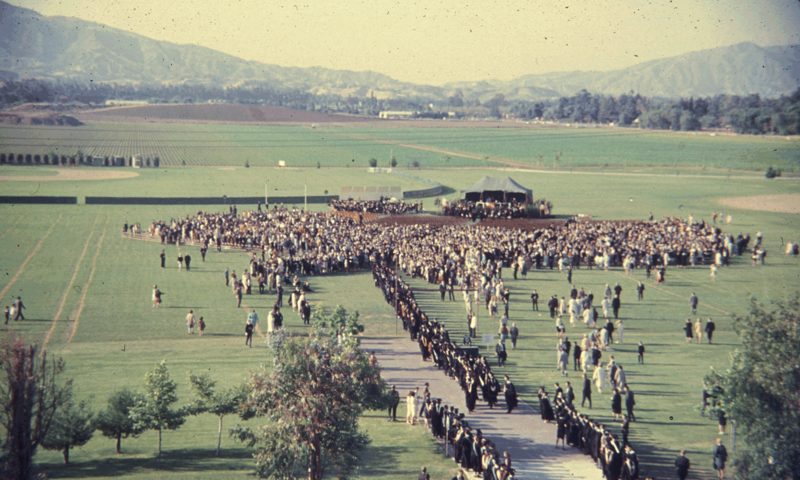 When I look back at the difference between me today and what I would have been, say, if I hadn’t gone to Cal State Northridge, that education that I was describing — with the unique major that I had through the Speech Communications department — enabled me to do everything I’ve done in the 25 years since then. I’ve been in management, advertising agencies, public relations agency work, I’ve hosted a national TV show on the Home & Garden television network, I’ve done radio, television, print journalism, using the journalism I studied here. I continue to be motivated and excited about my career with the studies that I took here that have enabled me to be a better communicator, professionally, and make a living at it in the years since graduating. 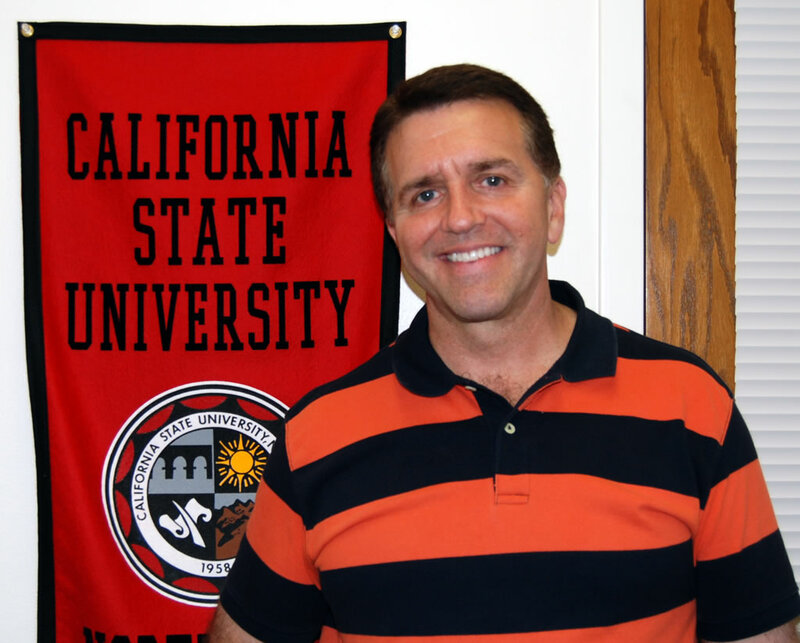 CSUN makes a powerful difference. You are influenced by what was positive here at CSUN far beyond what you are aware of when you are going to school here. It takes you forward to open options and awareness that you didn’t know — you didn’t have — until you got here. And then by whatever studies you go into, suddenly a whole new world opens up and, depending on how much vigor and enthusiasm you bring, CSUN meets you and pulls you forward.